Seymour Masin was born June 7, 1920 in Newark. He was the child of Russian Jewish immigrants who lived in the city’s middle-class Weequahic neighborhood. His father was in the construction business. Everyone called the handsome, blue-eyed, fair-haired boy Swede. Swede was big, fast and powerful—a spectacular natural athlete who was known throughout Essex County for his exploits on the football field, basketball court and track (as a hurdler) at Weequahic High. 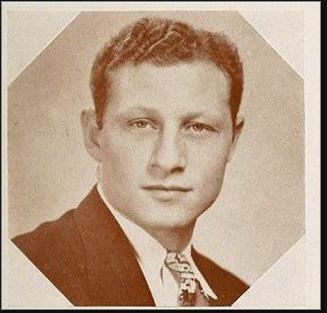 He was heralded as New Jersey’s best schoolboy basketball player in 1938, won the state shot put and discus championships as a collegian, and became a hero to Newark’s Jewish population. On many occasions, thousands of spectators showed up to watch him compete. Swede went on to star in these sports at Panzer College, which merged with Montclair State in 1958. He teamed with Herm Knupple to lead Panzer’s basketball team—coached by Al Gorton—to a 44-game winning streak, which began in 1938 and lasted until 1941. Among its victims was the powerhouse team from NYU, which dropped only its second home game since 1932. Swede also gained recognition in soccer as a Coaches' All-American pick. After graduating, Swede joined the Navy and achieved the rank of lieutenant during World War II, the skipper opf a minesweeper in the Mediterranean After the war he returned to New Jersey and played basketball professionally in the American Basketball League for the Newark Bobcats. Swede achieved a measure of fame after his sports career with the publication of American Pastoral in 1997. Author Philp Roth, who attended Weequahic High a few years behind Swede, modeled his central character Swede Levov after him. The book won a Pulitzer Prize. Swede lived in South Orange and spent much of his working life as a liquor saleseman, retiring in the 1990s. He remained an exceptional athlete his entire life, playing softball and basketball into his 60s. Swede passed away in Atlantic Highlands at age 85 in 2005. 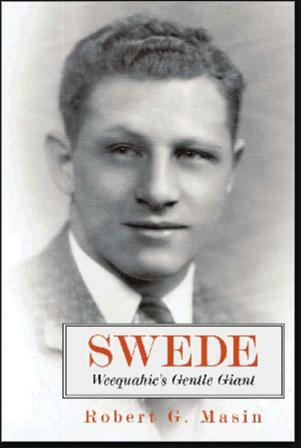 Four years later, Bob Masin—one of his four children—authored a book entitled Swede: Weequahic’s Gentle Giant.